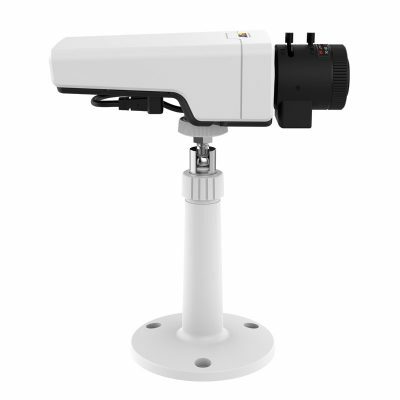 Indoor Pan Tilt Zoom IP-network video camera with 30x optical zoom, excellent autofocus and HDTV 1080p video resolution capture at 60 frames per second. 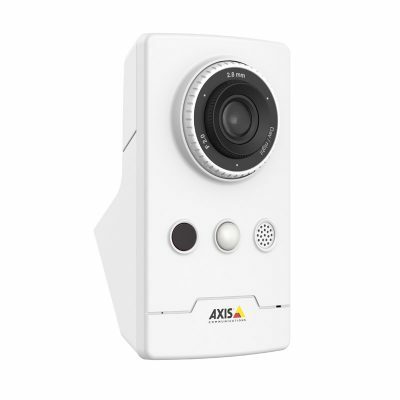 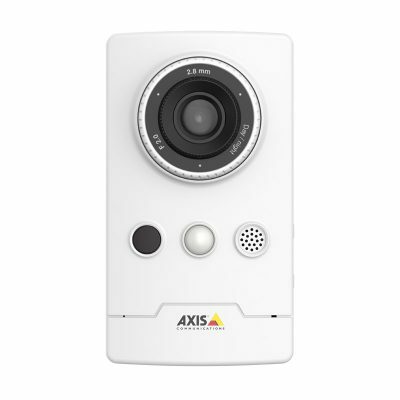 The AXIS V5915 PTZ Network Camera is a digital IP-network video camera with many excellent features that is a good choice for indoor auditoriums, classrooms and peer to peer communications in video conferencing style setups. 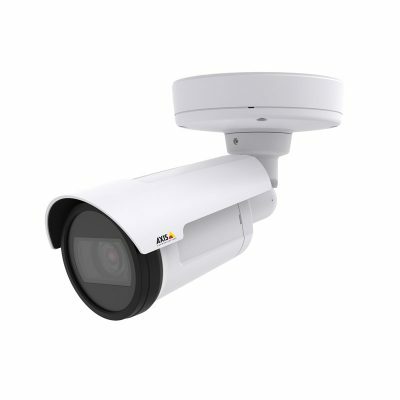 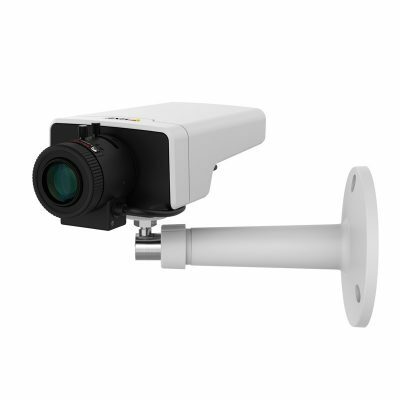 Features include high quality indoor Pan Tilt Zoom (PTZ) IP-network video camera with powerful 30x optical zoom, excellent autofocus and HDTV 1080p video resolution at 60 frames per second for live streaming of video with audio. 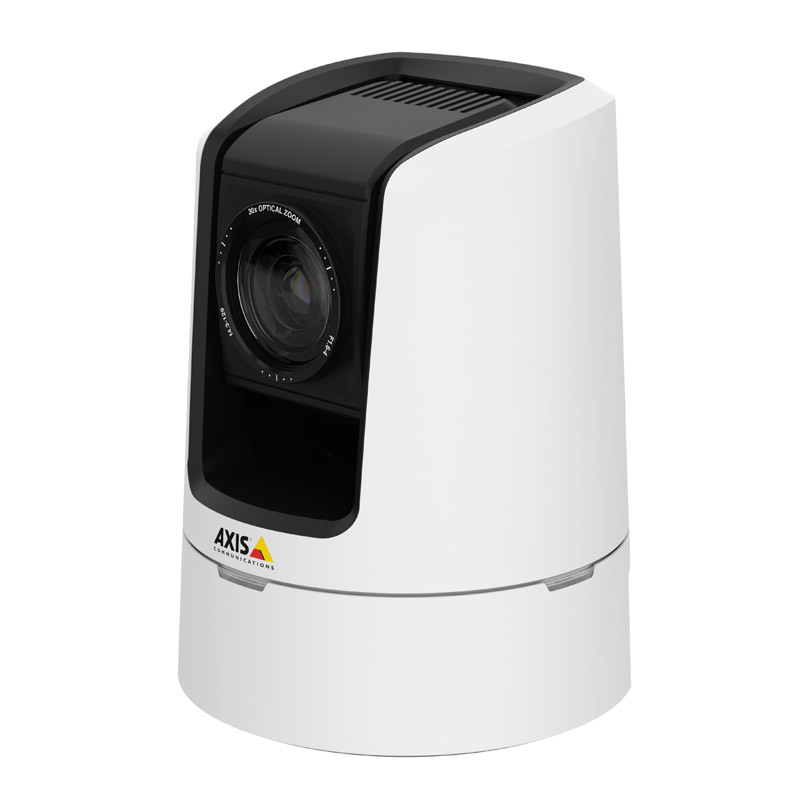 Smooth exterior looking design with steady pan and tilt features. 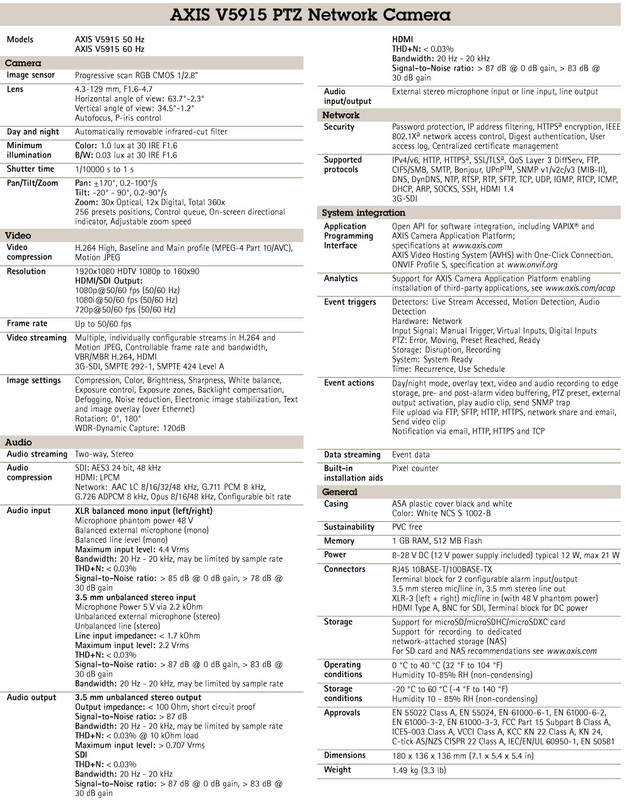 Options are WDR, EIS, HDMI, 3G-SDI and XLR-3 for various connectivity setups during operation. 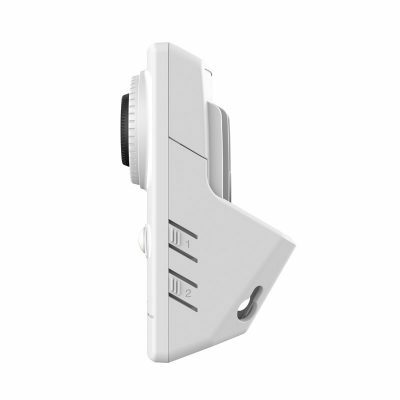 High quality two way audio when used in stereo mode. 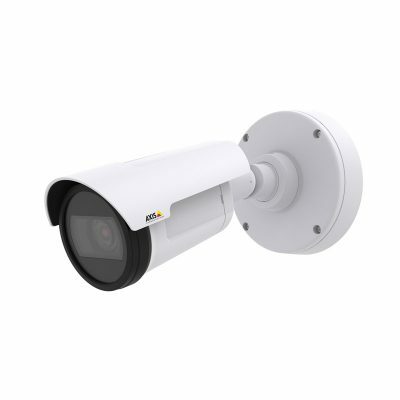 Camera is compliant with SMPTE 274M specifications. 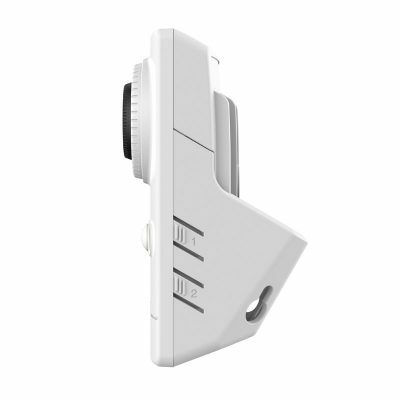 Camera power supply and compatible wall mount bracket are included with purchase of this product. 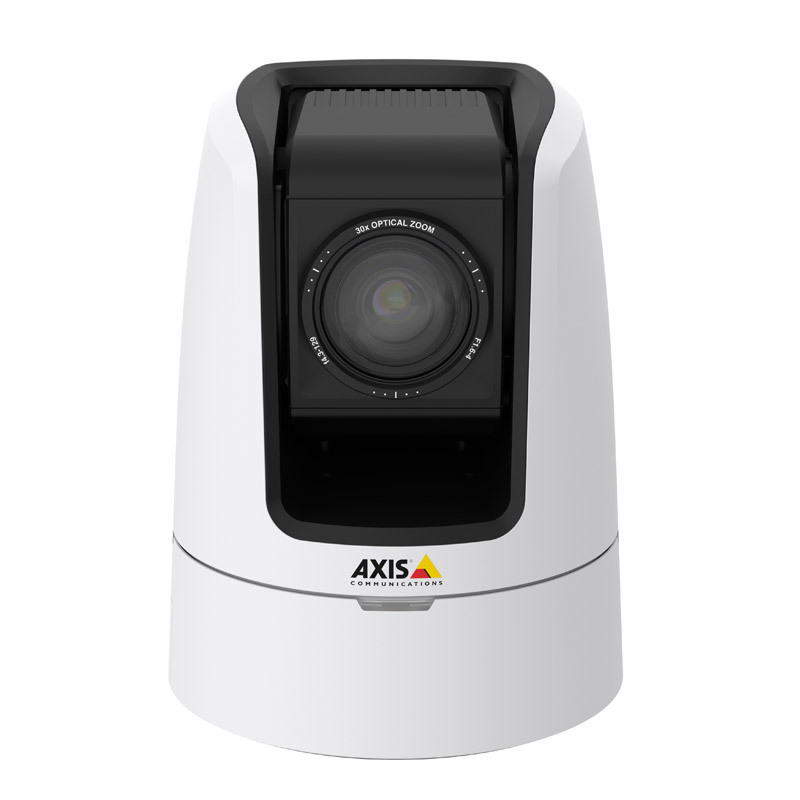 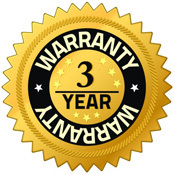 Extended warranty option is available for this AXIS product.